Our range of products include ms gratings. The range of supreme quality MS Gratings is offered to the clients, in order to cater to their requirements in the best possible manner. 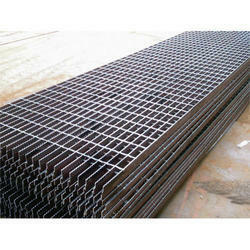 Suitable to be used as a walkway plank, a grating is a framework of crossed and parallel bars. In addition to this, we make sure that the products offered by us are admired for their longer life, perfect shape and accurate dimensions.